The 4th Annual 5K will be held Saturday, April 06, 2019 at Tom Bass Park. The 5K benefits the TPOBC, Texas Parents of Blind Children, which provides children vital support, encouragement, and promotes blindness skills, fostering self-esteem, and utilizing blind adult role models to build a solid foundation for a productive life with maximum independence. Enter your email to join the TPOBC listserv today! 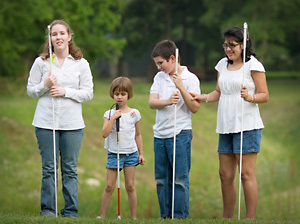 A non-profit membership organization of parents and friends of blind children and youth working together to ensure the best possible future for our blind youth by: promoting blindness skills, fostering self-esteem, and utilizing blind adult role models to build a solid foundation for a productive life with the maximum independence. Texas Parents of Blind Children (TPOBC) is the state chapter of the National Organization of Parents of Blind Children (NOPBC), a division of the NFB of Texas, a national membership organization of parents and friends of blind children. To create a climate of opportunity for blind children in home and society. To provide information and support to parents of blind children. To facilitate the sharing of experience and concerns among parents of blind children. To develop and expand resources available to parents and their children. 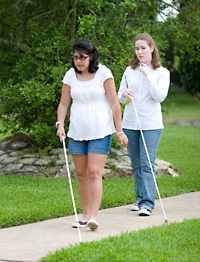 To help parents of blind children gain understanding and perspective through partnership and contact with blind adults. To function as an integral part of the National Federation of the Blind in its ongoing effort to eliminate discrimination and prejudice against the blind and to achieve for the blind security, equality, and opportunity. The TPOBC board is made up entirely of unpaid volunteers: 6 Officers who are all parents of blind children and 3 Advisors who are blind adults and/or teachers of blind children, active in the NFB. Please feel free to contact any one of us to join TPOBC or to ask any questions you may have.